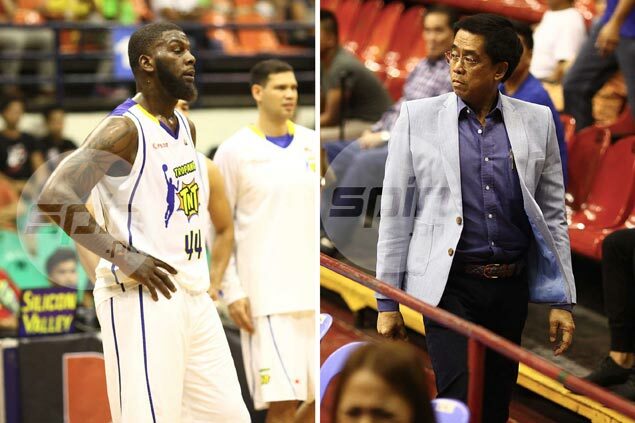 IVAN Johnson has been banned for life from the PBA after an altercation with league commissioner Chito Narvasa in the Tropang TNT’s Commissioner’s Cup game against Meralco on Saturday at the Philsports Arena. After getting ejected for picking up a second technical on a flagrant foul penalty 1 on Bolts big man Bryan Faundo late in the second quarter, the temperamental Texters import uttered some choice words to Narvasa before he exited the court. Witnesses said the controversial import uttered the 'F' word before turning his back on the commissioner. Narvasa didn't waste any time taking action, handing out the life ban even before the game could end. "For addressing the commissioner with profanities and showing utter disrespect of authority, Ivan Johnson has been banned for life from the PBA," the league said in a statement. Johnson became the second import to be banned for life in the league after former Petron reinforcement Renaldo Balkman, who was meted the expulsion following a choking incident with teammate Arwind Santos last March 2013. The import who led the Texters to the Commissioner's Cup championship last year spent just 16 minutes on the floor - scoring nine points and grabbing four rebounds - in his return stint in the pro league. It appears Narvasa has had enough of Johnson, who reportedly also had an incident with the commissioner during the imports’ orientation before the start of the conference. According to witnesses, the TNT import, who has been previously banned from the Korean Basketball League, walked out of the conference after disagreeing with one of Narvasa’s points.